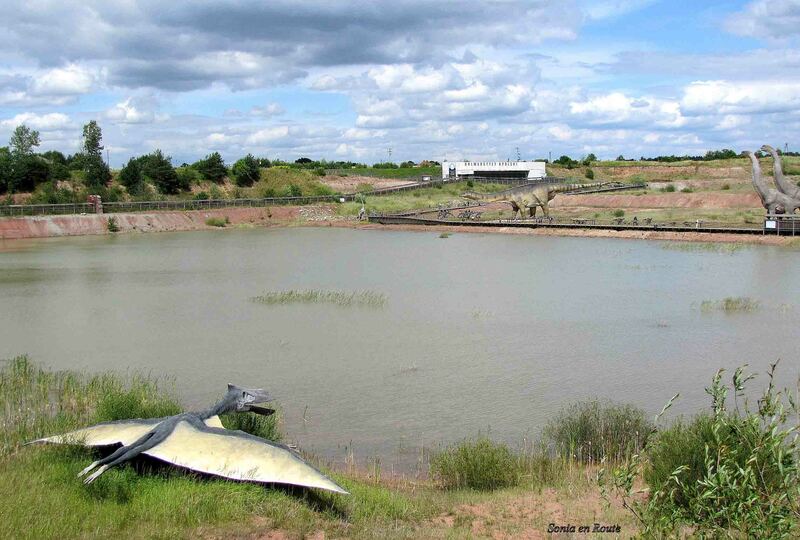 As promised I am taking you on a tour of the exciting JuraPark where you can meet dinosaurs. 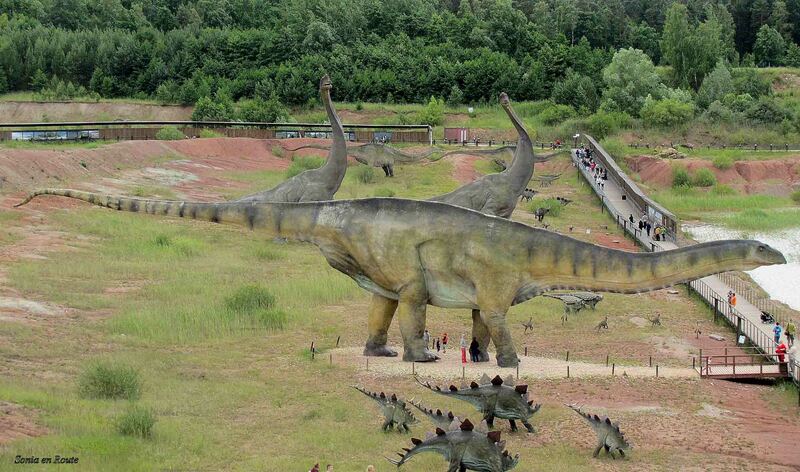 No time travel required; just a car trip to Krasiejow in Poland where tens of dinosaurs roam free. Some are so friendly that you can come close and touch them. 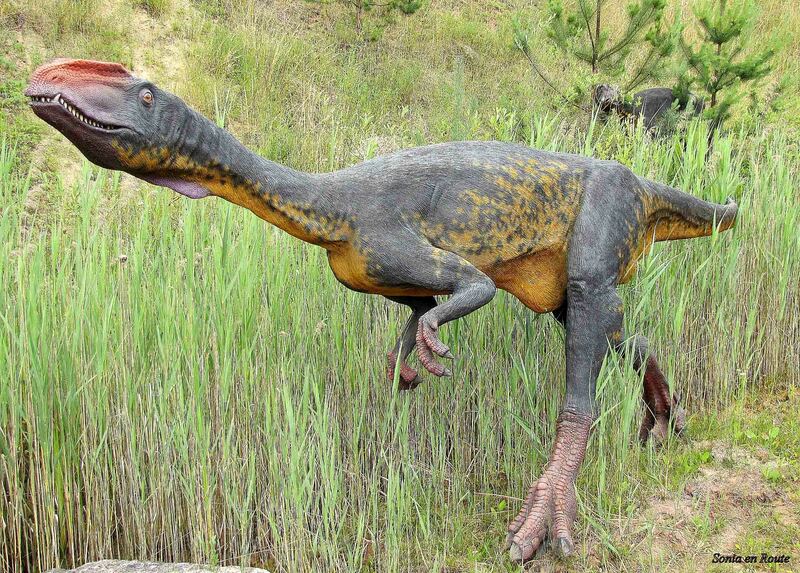 Years ago in the course of the mining exploration in this area the footprints of dinosaurs have been uncovered. This was followed by the discovery of tens of thousands of fossilized bones of various animals. 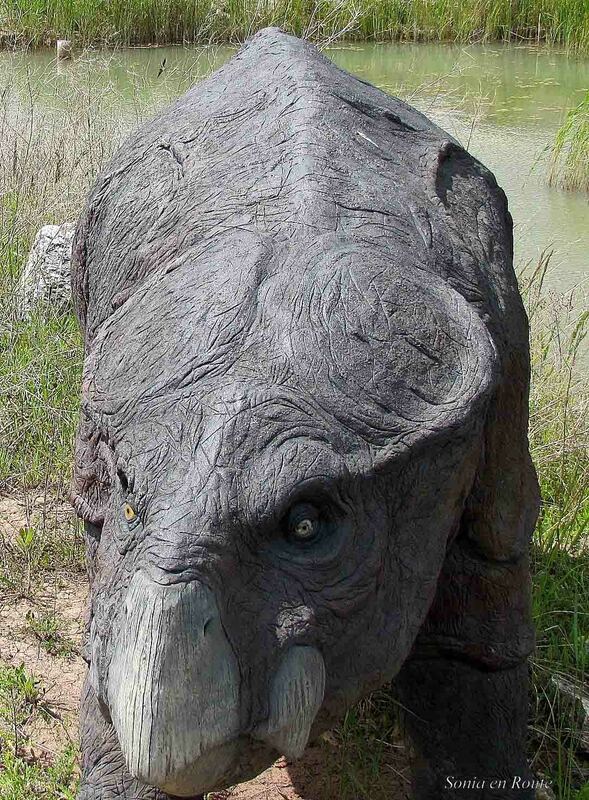 From them the experts and artists are able to remake life-sized models of animals that lived a long time ago. 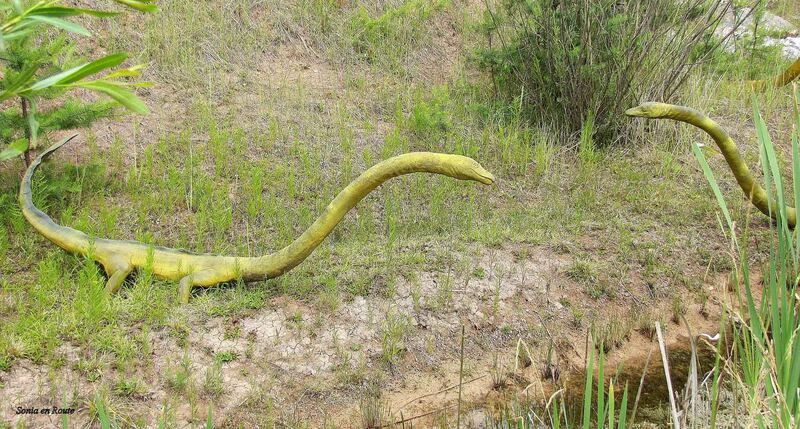 It takes about 2 hours to slowly stroll along the path that runs by solitary dinosaurs quietly going about their business as well as large groups engaged, in what looks like, lively discussions. As you come near the end of the journey, you can take a last look over the whole area where this fun adventure takes place. In addition to the JuraPark, there are other attractions. The train through Time Tunnel can take you back to the past and as you ride you can observe all the stages of the prehistoric life. The Paleontological Pavilion contains the actual fossils of amphibians and reptiles. Of course there is an amusement park, a playground, the cinema, and the food court. All in all it is a great place that gives everyone a taste of what life looked like a long time ago and gives the opportunity to admire the fascinating animals that lived then. More information about Krasiejow can be found here. If you are interested in other fun stuff taking place in Poland, I invite you to take a look at Monster Trucks. It must really give you a sence of how big they where. Great place to go to with children. Amazing! I need to go there when I’m in Poland! No prosze. A o tym nie wiedzialam! They do. Being close to them adds to the effect.